It's all about keeping up appearances — at $25 or less a pop. 1. 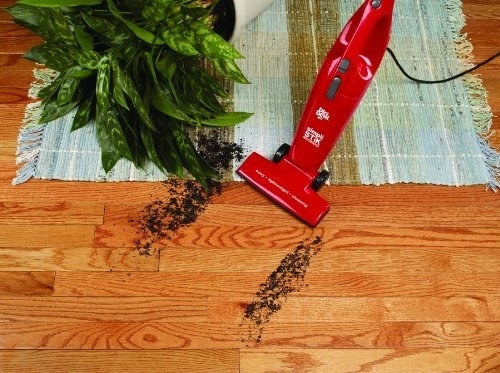 Invest in a budget-friendly convertible vacuum that double-teams as an upright and hand vac to get at all kinds of spills. Even the crumbs that fall under the hood of your gas cooktop. Get it from Amazon for $19.96. Available in three colors. 2. 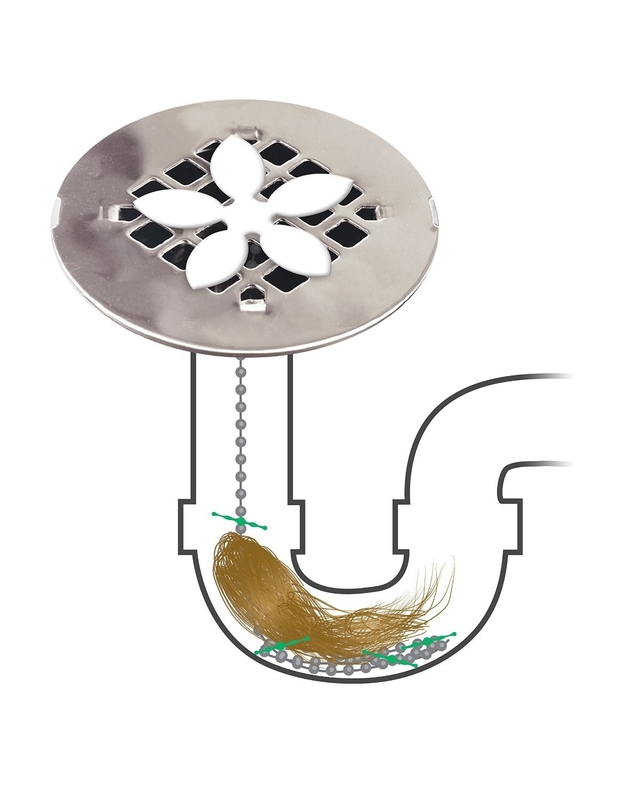 Feel cleaner when you're not showering in inches of water thanks to this clever little hair-catching flower that fits over your shower drain and pulls out an alarming number of strands. Get a two-pack from Amazon for $6.99. 3. Stash a huge bag of baking soda underneath your kitchen sink and familiarize yourself with all its uses, like de-clogging drains, scrubbing cooktops, and more. Check out our list of 17 things you should be cleaning with baking soda here. Get a 5-pound bag from Amazon for $16.91. 4. Opt for 2-in-1 sponges with a scrubby side and a soft side for all your household cleaning. Then sanitize them in the microwave or dishwasher afterward to make them last longer. Get a six-pack from Amazon for $5.09. 5. In between cleanings, dry out your sponges with this dishwasher-safe holder. 6. 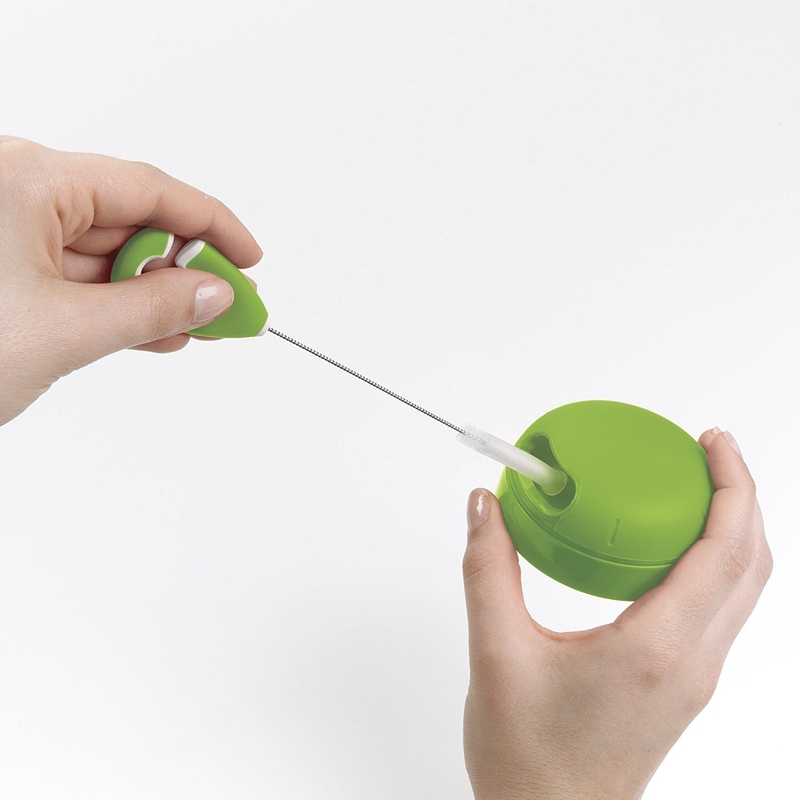 Make easy work of cleaning inside pretty vases and other tricky glassware with a ~magical~ magnetic spot scrubber. 7. 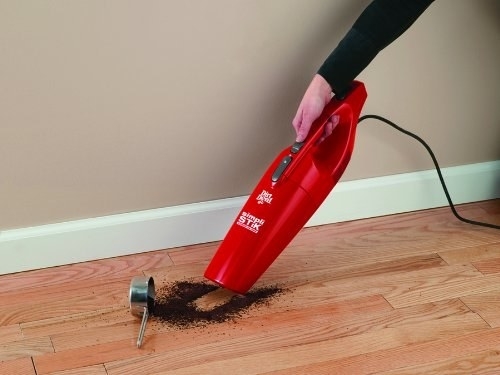 Keep your K-cup machine clean and fresh with a special stain and descaling solution. 8. Keep your makeup brushes and your bathroom sink cleaner with a set of brush-cleaning pads with suction cups to make them stay put while you erase blush and other powders. Get them from Amazon for $10.90. 9. Make it a little less obvious that you live with a cat or dog by running this lil' robotic floor cleaner to pick up fur and debris. Your pet will get a kick out of it too. 10. Get off guck with this little angry mama microwave cleaner. Just add white vinegar and water to start the steam cleaning. Get it from Amazon for $3.99. 11. Sneak into the tightest, dirtiest cracks with a groove gap tool that pulls double duty as a brush and scraper. 12. Spritz some of this potent mildew remover on icky tiles, leave the bathroom, and venture back in about 10 minutes later for the cleanest magic trick ever. Get a two-pack of 16-ounce bottles from Amazon for $13.44. 13. Cut down on waste — and trips to the store — with these washable Swiffer WetJet pads so you'll have zero excuses to skip mopping. Get them from Amazon for $8.99. Also available for Swiffer Sweeper. 14. 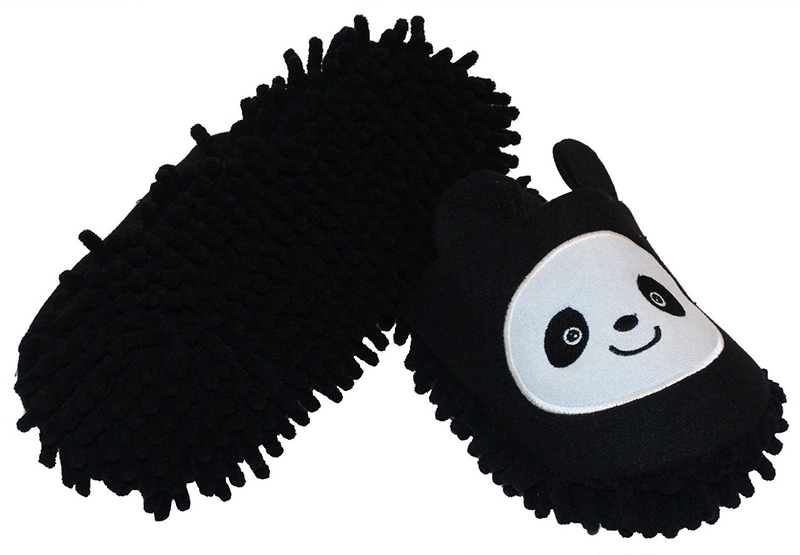 Drag your feet on sweeping your floors with house-cleaning slippers that'll also keep your toes toasty. Get them from Amazon for $12.99. 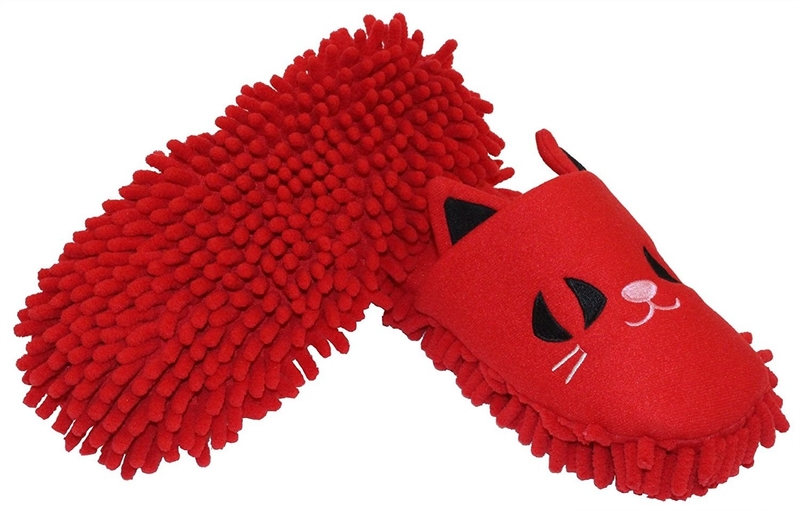 Available in panda, puppy, brown cat, red cat, and ladybug. 15. Tidy up your work area with a mini cow vacuum that's so cute people will think it's just decoration. Get it from Amazon for $12.64. 16. 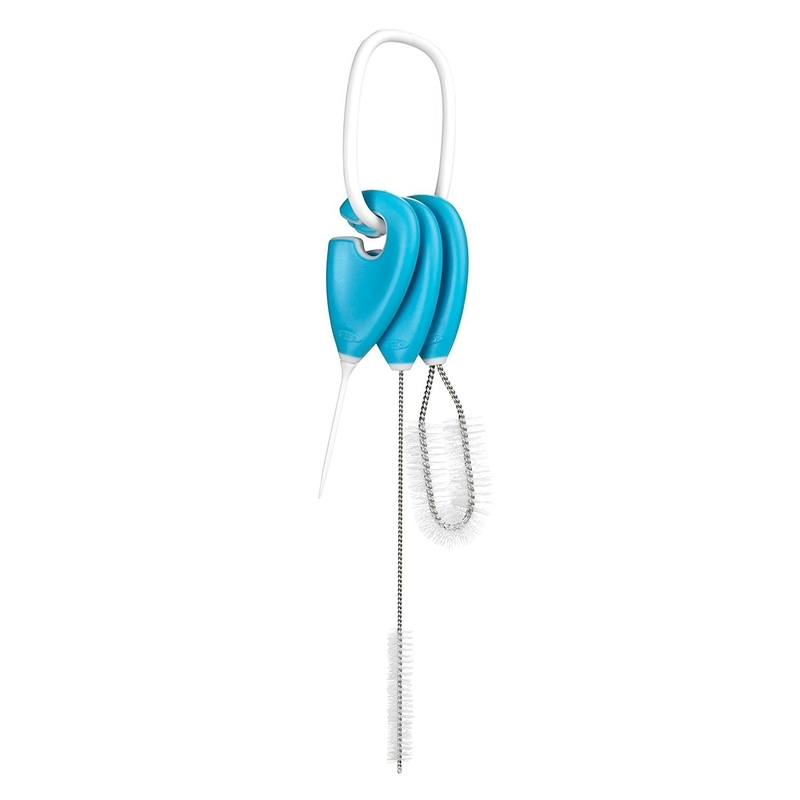 And clean up bits while you cook with this table sweeper. Get it from Amazon for $8.29. 17. Put some of your paper-towel money toward a 24-pack of microfiber cleaning cloths that you can wash over and over and over... You get the point. 18. 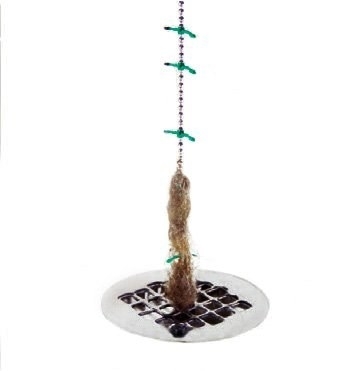 Stop kicking over your cat's water bowl with this self-containing pet feeder that collects water and food spills. You'll save on kibble, too. Get it from Amazon for $18.99+. Also available for dogs. 19. Hang all your cleaning instruments on this tool organizer that'll mount on your garage wall so you can find the mop faster once there's a spill. 20. Stash all your cleaning solutions nearby in this handy caddy. Get it from Amazon for $11.17. 21. Sweep up the tiniest spills with a mini brush and dustpan set. Get it from Amazon for $8.99. Available in two sizes. 22. Get every last part of your kid's favorite cup clean with this sippy cup cleaning set of three brushes. Every. Last. Part. Get them from Amazon for $4.99. Available in four colors. 23. And always remember, Clorox disinfecting wipes tidy up most messes. Get a three-pack (that's 225 wipes total) from Amazon for $9.97.